The continuous search of the Family Atzeri for the best hotels and luxury services available in Sardinia, which began in the late 70's, is today expressed best through www.charmingsardinia.com. All hotels or tourist services presented on CharmingSardinia.com are known and personally tested by Gianluca Atzeri and his staff. 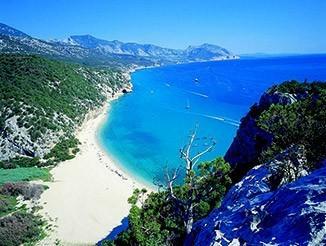 The limited number of hotels and services presented in our pages is due to the attentive research throughout the territory and the firm determination not to submit to travellers who choose CharmingSardinia.com, a mere collection of everything that exists in Sardinia. Only the hotel, the restaurant or boat charter which is really able to guarantee a unique experience to its guests is included in CharmingSardinia.com’ s offer. 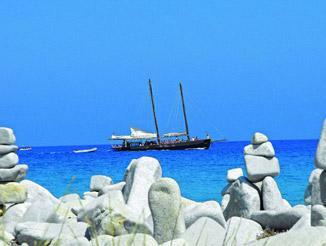 CharmingSardinia.com continuously invests on increasing the knowledge about Sardinia of its employees. In fact, its multilingual staff visit several times per year each hotel featured in the selection in order to ensure a tailor-made consulting based on the actual needs and expectation of each traveler. Finally our Travel Consultants are at your complete disposal to help you arranging any single detail of your holiday: from the flight or ferry to reach your destination, to the tour or activity which will give you the chance to experience the local culture and traditions. Once you arrive in Sardinia, the Travel Consultant Charming can be contacted by telephone 24 / 7 to ensure a prompt and efficient assistance for any need you may have. Once you return home, you can always count on our Customer Service Department that will actively solve your requests. Transactions take place online through official credit institutions that guarantee high standards of security and reliability. Booking with CharmingSardinia.com is simple and secure: you will be asked a deposit upon a reservation, and 30 days before your arrival the balance of your stay. We are a Tour Operator (Royal Travel Jet Sardegna) regularly listed in the National Register of Travel Agencies and Tourism in Italy n. 242. 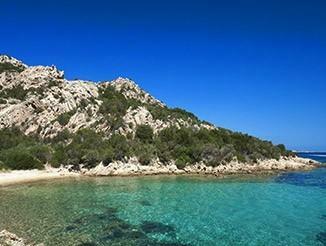 On the Sardinia Region website you can check the list of agencies and be sure that we are qualified to carry out this work.